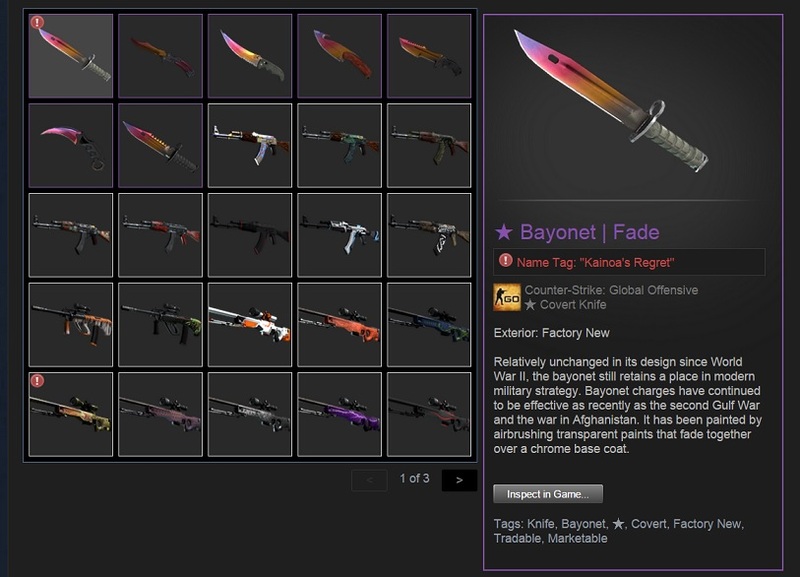 If you’re a seasoned Counter-Strike: Global Offensive (CS:GO) player, you’ll know of the significance of this. One player who is moving on from the game wants to sell of his entire CS:GO inventory, but this is no mere collection: this CS:GO inventory contains pretty much every single drop you can get or buy from the game. 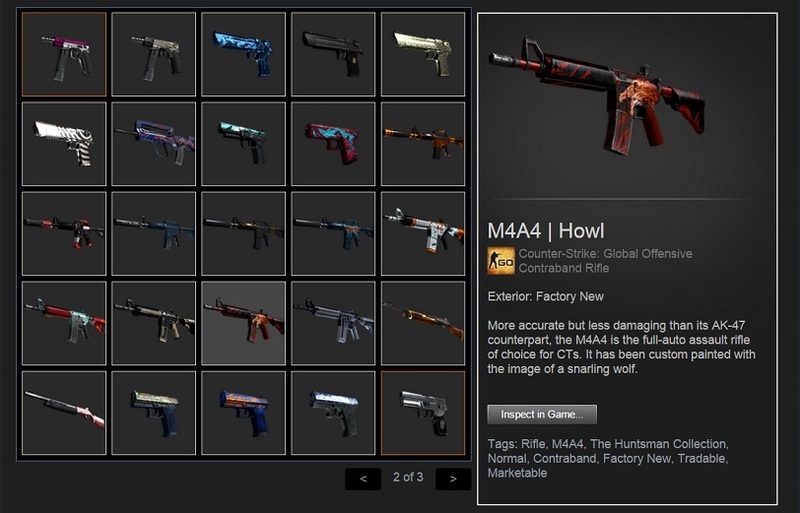 Besides its addictive mix of competitive and yet simple gameplay, one of the main reasons people keep playing Counter Strike: Global Offensive lies within its burgeoning weapon skins economy. Players get random drops after a set period of time, which can either be weapon skins, weapon crates that holds a random weapon skin, stickers to put on your weapon skin and of course, sticker capsules. 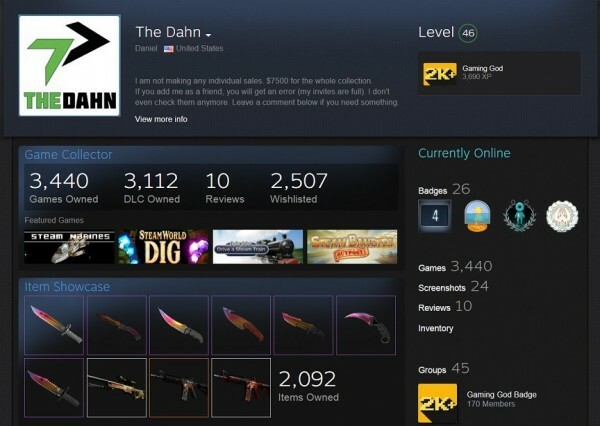 The rarest of the rare skins are exceptionally expensive: it isn’t uncommon to see a knife being sold in the Steam Marketplace for thousands of ringgit. 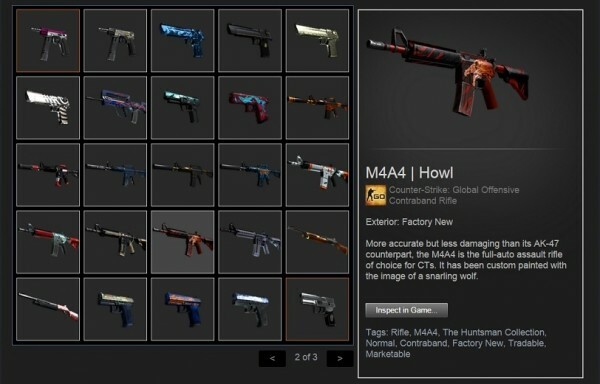 Those familiar with the game will know just how difficult it is to obtain some of the skins in The Dahn’s inventory, such as the Contraband M4A4″Howl” rifle, which was removed from the game due to copyright issues. Any of the Fade knives are easily worth $300-400 (about RM1050-1400) each, so the $7,500 (about RM26,200) asking price is apparently “more than a $1,500 discount” from what you’ll need to pay if you were to buy each item from the Steam Marketplace. The game costs $14.99 (or RM31 for Steam users in Malaysia), and can go as much as 75% off during Steam’s sales. And, as with all collectors, some items bear greater significance. 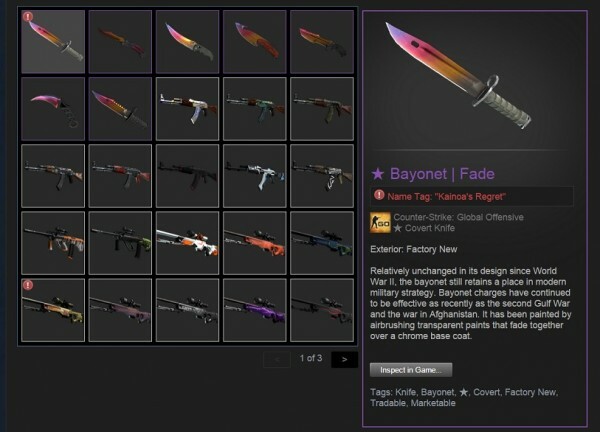 Take, for example, the Dragon Lore AWP sniper rifle and the Fade Bayonet knife, which have been renamed as “Kainoa’s Gambit” and “Kainoa’s Regret” respectively. As Dahn explains, it is a tale filled with deceit, drama and someone’s mom, ultimately christening the two weapons “as a lesson learnt”. Interested? Head on to The Dahn’s Steam inventory here. Those curious should also check out this player’s very impressive collection of items in the inventory.